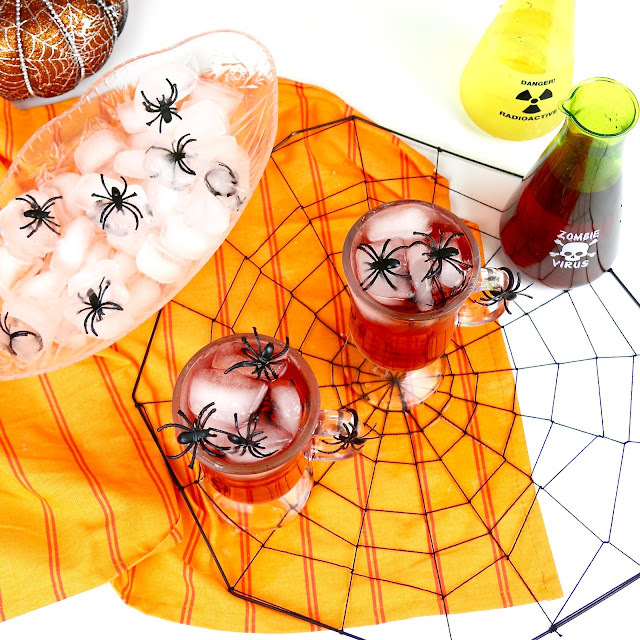 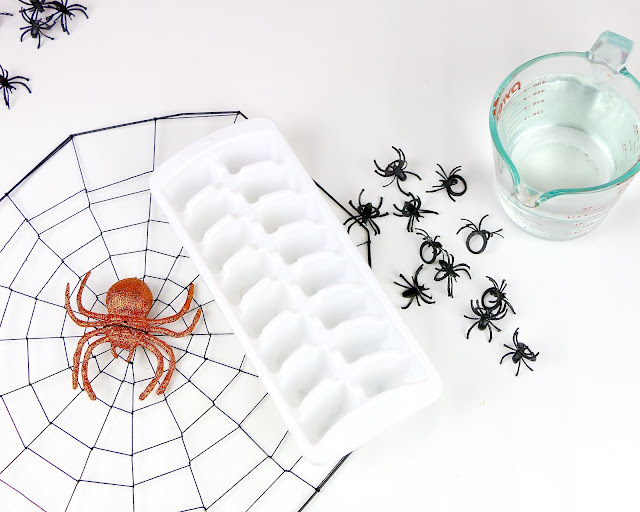 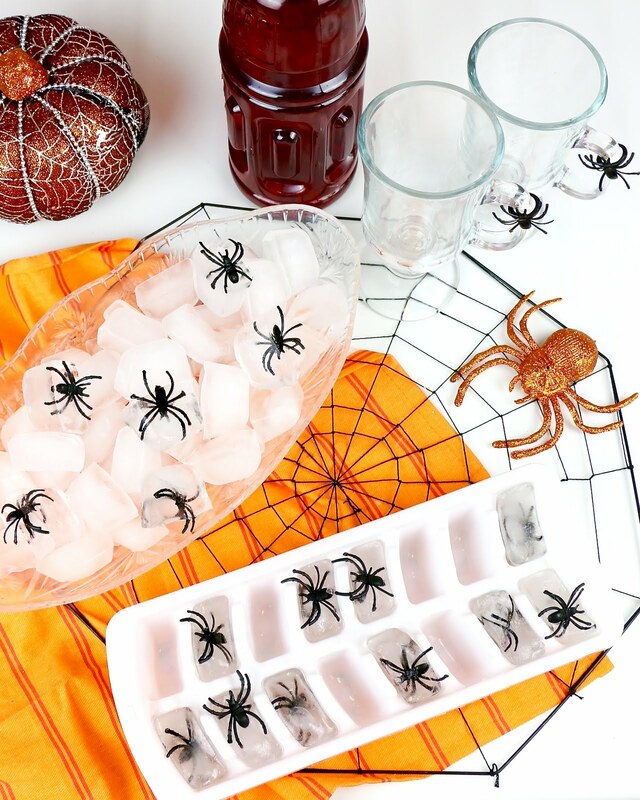 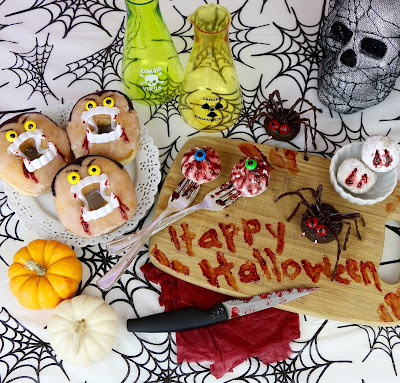 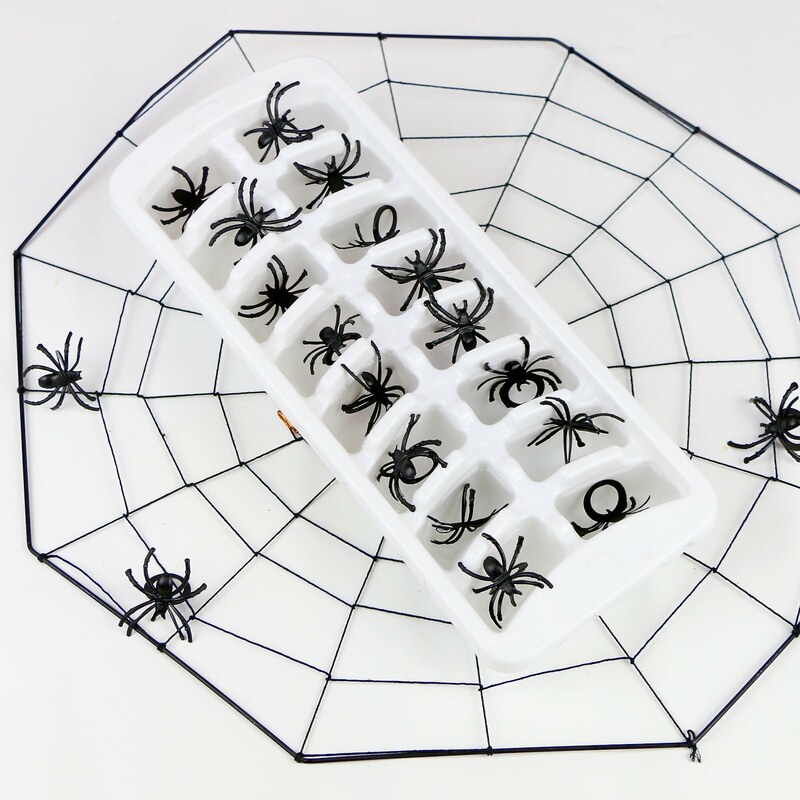 The spiders frozen in each ice cube makes for a spooky Halloween effect. 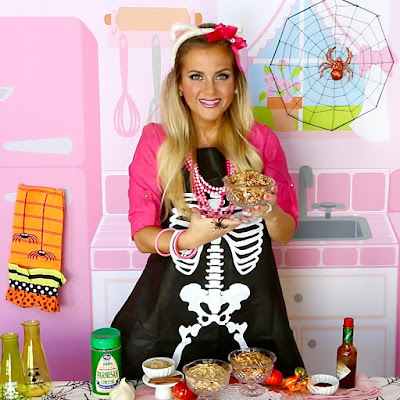 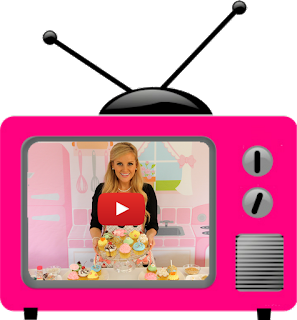 By using filtered water and then boiling the water before freezing, you will get clear ice cubes, instead of cloudy ice, so the spiders will really come through. 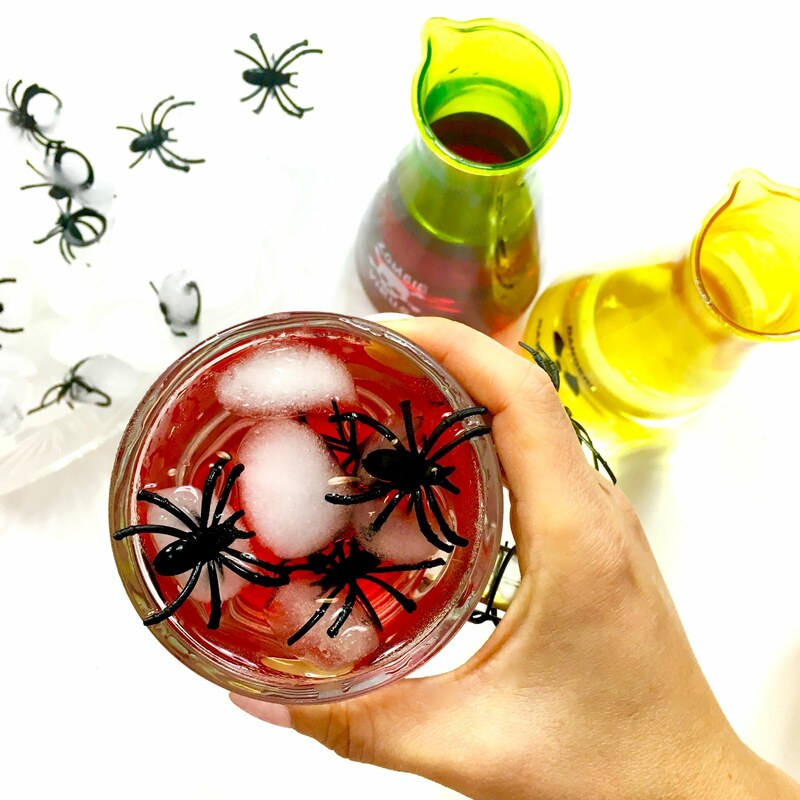 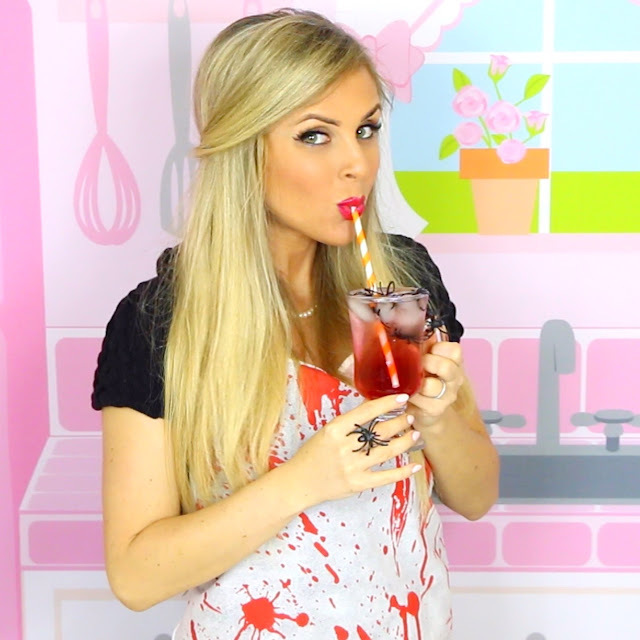 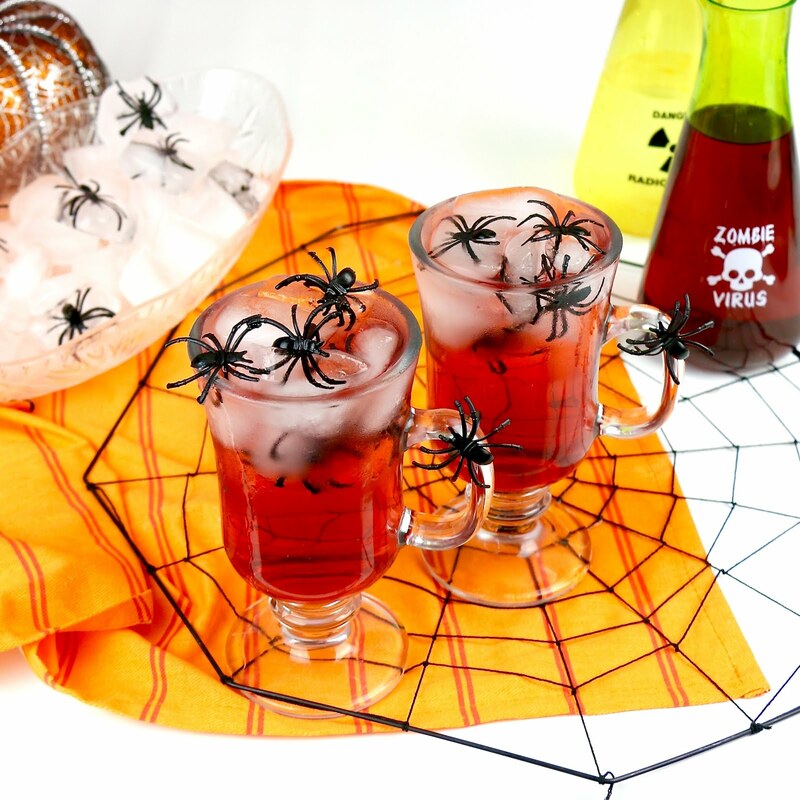 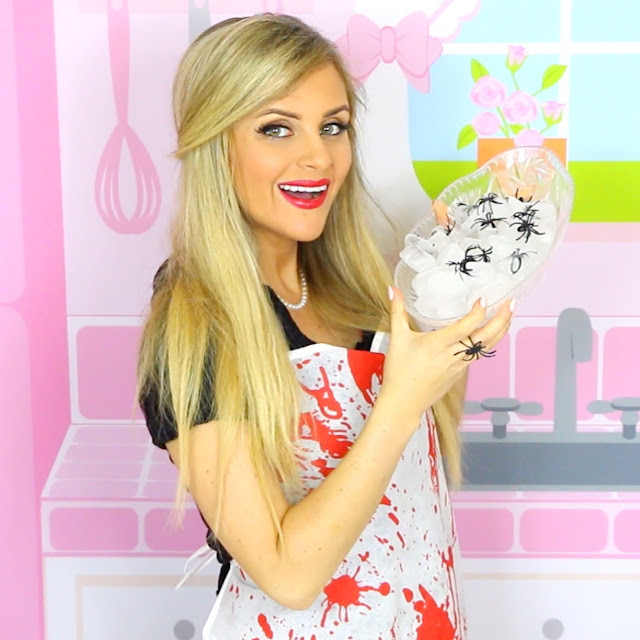 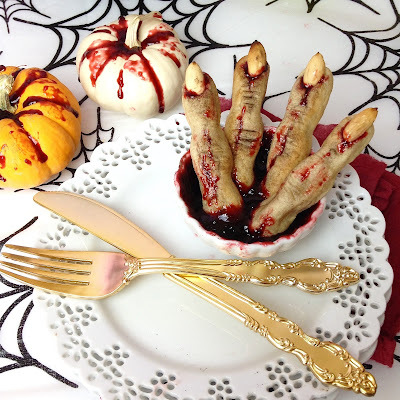 I like to transfer the juice and soda water into fun spooky Halloween beakers, that I picked up at the dollar store, for serving, for an added fun touch.